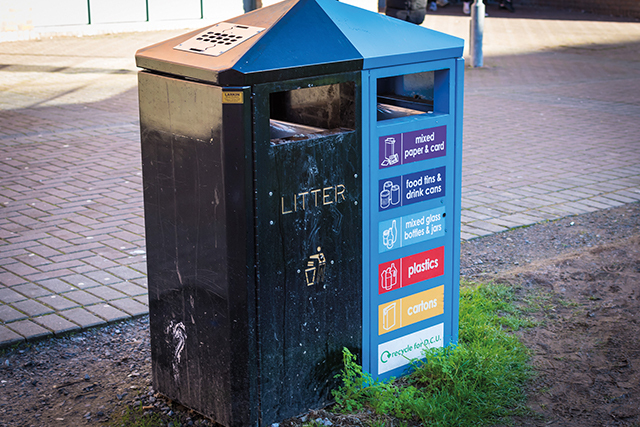 DCU converted the majority of its waste across campuses into an alternative to fossil fuel last year, according to the results of a Freedom of Information Request. Over 89 per cent of the waste generated in DCU was separated into ‘recovery’ materials which were then used to produce solid recovered fuel (SRF) in 2018. “Based on the ongoing recovery in the construction sector here in Ireland, we expect the demand for cement to continue to grow with an associated increase in the need for fuel,” said Communications Manager at Irish Cement, Brian Gilmore. DCU uses Thorntons Recycling which provides SRF to cement firms to help with manufacturing, as some cement kilns now use SRF as a more environmentally friendly substitute to coal. Thorntons is licenced by the Environmental Protection Agency (EPA) to handle 250,000 tonnes of waste a year. Unlike refuse-derived fuel (RDF), SRF is made from the shredding and processing of commercial waste. Both RDF and SRF convert waste to energy, however, SRF is made up of materials that are more difficult to recycle but can be used as a more sustainable fuel source instead of adding to landfill waste. “You cannot make cement without the intense heat inside the cement kiln, which is required to, literally, melt the raw materials,” added Gilmore. As the need for cement mix remains, plants will have to burn materials to create it. SRF enables cement kilns to burn waste already created instead of burning fuel such as coal. Some of the materials in SRF are wood, paper, textiles however other materials include plastic. The main goal of using SRF is reducing waste in landfills while using an alternative to fossil fuels for the manufacturing of materials that require a lot of heat such as cement. Using recyclables as a replacement for fossil fuels in such things as cement factories is what is done throughout Europe, explained Gilmore. Although this is standard practice in Europe, Ireland still remains one of the worst offenders for emissions in the EU. Progress has been made to reduce the country’s release of carbon emissions such as divesting from fossil fuel investments. However, the implementation of a major plan by the government to tackle climate change in Ireland may be “paused” due to Brexit.